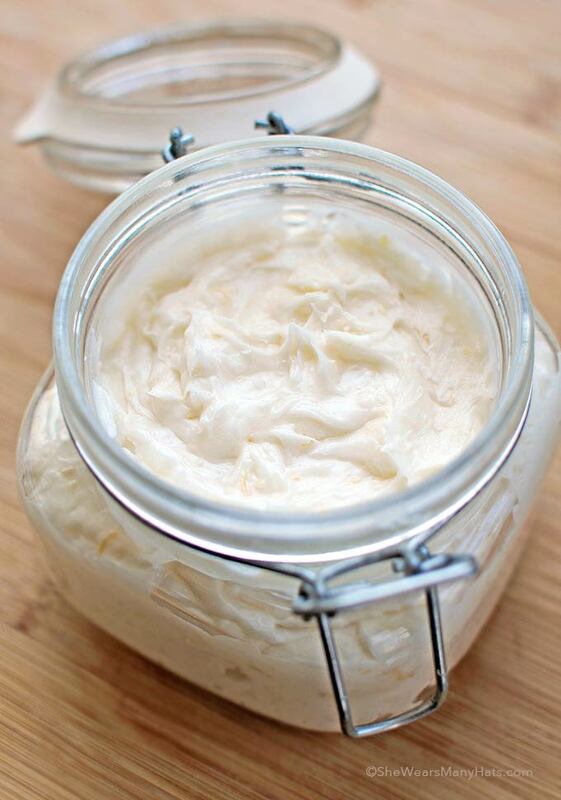 A simple homemade body butter that works great for shaving your legs too. A couple of weeks ago I ran across an article about additives in cosmetics and skin care products that was quite disturbing. Of course, I freaked a tad and thought about tossing everything in our home. After I calmed down, I decided to chill out and take a gradual approach, beginning by making some homemade versions to use. I started with what we had in our home, specifically our kitchen. My thinking is if I put in in my body I should be okay with putting in on my body. I began by creating a body butter of sorts with only three ingredients we usually have on hand: coconut oil, honey, and citrus. A simple mixing of the three created a fresh, smooth cream that I’ve used to shave my legs, as well as a moisturizer for really dry areas, especially my dry, cracked cuticles. OR add a spoonful to some hot tea (Carrie from La Pomme de Portland recently share that handy tip). As I said, I’ve primarily been using it to shave my legs. While there’s no lather, it’s pretty cool, because once I’m out of the shower or bath, my legs are already moisturized with no need for anything else. Very handy dandy, indeed. It can also be added by the spoonfuls to a hot bath as a bath oil/moisturizer. Coconut oil and honey alone have so many healthful benefits, so just imagine what combining the two will do for your skin, without all of the junkity junk so many other skin care products can have. Be sure to check the notes below, and if you try this one soon, let me know what you think! – Recipe is intended for using within a week. For longer shelf life, delete citrus zest, store tightly covered in a refrigerator, and consider using an oil soluble preservative. – Store covered tightly in a cool dry place. – Note that Coconut Oil is used for this recipe, not coconut milk, or coconut water. – Primarily I’ve been using this as a shaving cream for legs, and moisturizer for dry areas like elbows, cuticles, and feet, as well as an addition to bath water. I’ve called it a body butter for lack of a better term, so test on others areas before using as an all-over body moisturizer. – For this batch I added the zest of grapefruit for a fresh scent, but any citrus zest will do, or a favorite essential oil added to your preference could be substituted. Just imagine the wonderful combination of scents you could create! 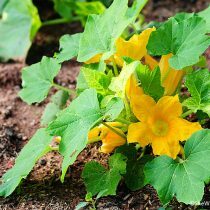 – The “recipe” below makes a large amount, which is perfect for splitting with a friend, or having some to keep in the kitchen and bath to keep those cuticles nice and hydrated. – Although mixture starts out soft, it will firm up, solidifying more after a day or so. – Be aware that since it’s an oil base it can make the shower floor or tub quite slippery, so be careful! – Since there is citrus zest in the mixture, there may be little pieces of zest that you will need to wipe off. Essential oil can also be used for scent. Mix all together until combined and smooth. Transfer to a container and cover. Amy! I made this today using lemon after you shared the “recipe” with me and added a heaping teaspoon into the tub for a relaxing soak, shaving my legs, etc. Oh my heavens! This body butter is PERFECTION! I do not ever want to be without this body butter. My skin feels amazing and my cuticles really haven’t looked this good in a long time! Love, love, love it, my friend! I’m way too busy working on a farm to make my own body butter. I’ve done a lot of research to find safe, environmental-friendly, cruelty-free products, using EWG’s site and other research, and I buy all my body products from Nourish. They make a completely chemical-free body butter. The fresh fig scent is so lovely! Seriously? 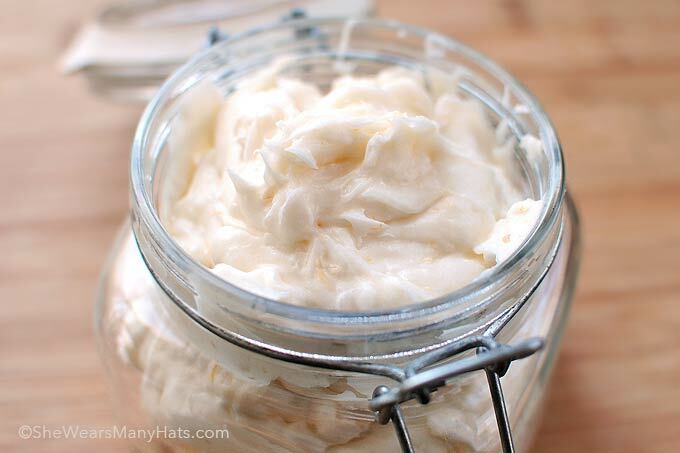 If you have time to do research you should have time to make your own body butter. Yes you have time! It only takes a few minutes! I agree. I’ve been looking at other body butter websites and have seen the same obnoxious post elsewhere. If you have time to tell everyone across the web about some website, I’m pretty sure you can mix together a couple ingredients. I feel you responding to the farmer’s wife to be quite offensive! Who cares if you are offended? the farmer post just came across as total spam, they are such a hard working farm girl but they had time to research and buy this particular product, then had time to tell everyone else about it, please! I understand that not EVERYONE wants to make their own products. EVERYONE has a talent and calling, and they should be concentrating on this, not worrying about making all of the DIY stuff they can make. Sometimes it is feasible, sometime not! Sometimes it is easier to just buy it, sometimes not. As far as the rude comment you received, totally uncalled for. When you have other priorites to deal with, as in this case a farm, family and more to take care of, the LAST thing on your list is getting out the mixer, zesting an orange and mixing it up. This is clearly spam. A person working on a farm, too busy to make body butter would not be looking at a blog post on how to make body butter and then taking time out of her busy schedule to tell everyone she is too busy to make body butter 🙂 Thanks for your recipe! I tried this with traditions coconut oil. do you have to a certain type of coconut oil? You should use UNrefined coconut oil as it is pure. Refined has been messed with so much in processing that all the nutrients are gone. I just tried this out and no matter how much I mix the ingredients together it doesn’t thicken like in Amy’s pictures. Could this be because I live in the tropics – the coconut oil does not solidify in natural state – and may be need to refrigerate it? When you purchased it was it a solid? It never is. I should say the temperature outside is 28-30C all year round and the coconut oil is always in golden liquid form. May be I need to look for a “paste” version of it. Glad to hear it, Nat! The olive oil I purchase is always solid and white when purchases. Hopefully for you it’s a temperature thing. While not necessarily handy, you can always keep it stored in the refrigerator if necessary. So I made this and it had this terribly strong coconut smell that was terrible. I substituted gardenia essential oil for the citrus. Is it just the oil or what? Did your coconut oil smell strong to begin with? I love making my own beauty products! 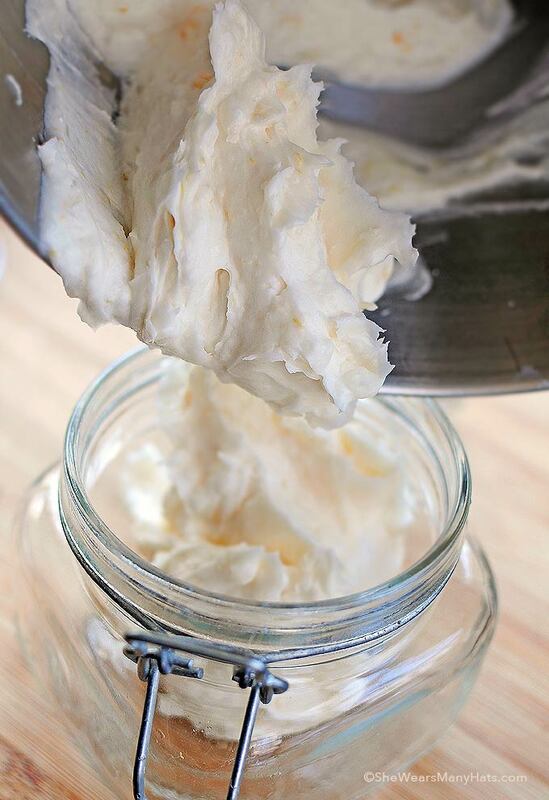 Next up, your homemade body butter! 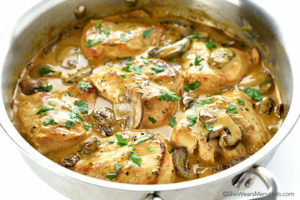 This looks so good, I want to eat it. Doesn’t the honey leave your skin sticky? I added more coconut oil & it’s great! is there a natural way to add color to home made body creams that will not get on skin? Yes…it does. Made some today and it feels awesome…then all of a sudden it’s like my skin is ‘tacky’ not sure what to do now except only use in the shower instead of after. Coconut oil is great to use before sunbathing (if you do that sort of thing 🙂 you won’t burn. At least it works for me. I agree — coconut oil is my one and only “go-to” for sunbathing. I spent 2 months in Costa Rica — wonderful tan, no sunburn — coconut oil only! How cool!! I want to slather that all over my scaly, dry winter skin! This is such a cool idea!! I use coconut oil on my feet and will definitely try this “recipe”! 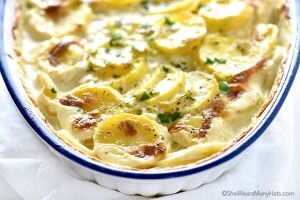 Ahhhh…this looks so creamy and soothing, perfect for my winter (yes, it’s still winter here!) parched skin! Yummy! I love to use coconut oil on my body! It’s so lovely! Can’t wait to try it with these ingredients! My hands can always use something rich and creamy like this to lubricate my hands especially being in water all day. What a great recipe and so simple and a nice gift to give someone for Mothers Day, a birthday or even the holidays. Thank you for sharing the recipe. Sadly, and I hate to bring this up but make sure any citrus fruit you use has not been coated with wax or any other noxious unwanted stuff. I have found that every citrus fruit I come across lately is coated. That said, I am going to do this beautiful remedy for my dry skin! Thanks for making it so simple! There is a simple way to remove the wax off of any fruit, you would soak the fruit in water and a little white vingear. I hoped this helped; I also heard that if you buy organic fruits they don’t come with any wax. Jasmine – That is very true!! What I would reccomend that you do is to peel an orange or what ever fruit you like and shave the zest from the inside rather than the out. If there is indeed a wax coating on it though – you could always give it a good scrubbing in your kitchen sink with some hot water which is as hot as you can stand it, and it should melt off the skin if I am not mistaken. Although if you are worried you can always visit some of your local farms or farmer’s market and buy stuff that is locally grown, then you will not have that issue. And if I am not mistaken I do believe that organic citris does not have the wax on it. As for the recipe, it looks so easy!! I am anxious to try it myself!! How would you mix the coconut oil?? In a blender? Or will it soften as you stir by hand with a wisk?? I used an electric blender, but I think it may soften a bit if mixed by hand. I love this! My sister in law made some lotion bars that were fabulous. I will pass this on to her and maybe she will make it for me! So creamy – it looks like a perfect dessert…I mean body cream! Oh my goodness I need to make this immediately. LOVE! Going to try but have a question. Since coconut oil hardens, this won’t clog the pipes will it? Yes, it will. I do oil pulling with coconut oil and have to spit it in the trash. So, be prepared to clean the pipes or find another way to use it. Yes it can. I use coconut oil for oil pulling as well as for shaving creme and moisturizer. My advise to you is to use Dawn. Chase the water down the pipes with HOT water and Dawn (they use dawn on sea life and birds that have been coated in oil from spills). This usually helps with my drains. Also, hair absorbs a lot of oil, so any hair in the drain will help with that as well (obviously clear the drain afterwards… LOL). I have yet to have any problems with my drains due to using coconut oil and I’ve been using it for a year now. Also, a great cleaner and way to get the oil off of your shower is to combine distilled vinegar and Dawn (one part each). Spray onto the surface you wish to clean, then leave for 30 minutes to an hour. Rinse or rub off. No scrubbing needed. Even takes care of soap scum. This looks so good. I’m going to make it this weekend. I did have one question. How long will it last before going bad? I don’t use a ton of lotions since it is so humid where I live and I’d hate for any of it to go to waste. You can use a little extra citrus powder with this or some vitamin E oil to help, but the zest and the honey are both full of natural preservatives. As they age, they will mostly just dry out (think what happens to the honey that stays in you cupboard too long). In point of fact, honey was the primary source for embalming for many ancient cultures all over the ancient world ranging from Egypt to China to Scandinavia. honey is self preserving when it is 100% honey. If you add it in a fraction in a product, it becomes a source of contamination. Bugs love it. I would recommend adding something to keep it from going bad. Vitamin E oil is a great option to increase its shelf life. I am going to make this with maybe a little less honey, definitely the vitamin e and I am going to try grapefruit essential oil for the scent since is less likely to become contaminated by bacteria. I would try making an amount that would last about two weeks at a time. Since I have dry skin I use oils and body butter as an all over moisturizer and I love coconut oil. The kind of coconut oil I buy is pretty solid right out of the jar. I mixed it with the honey and zest until smooth. I store mine in my bathroom cabinet. If you choose to store it in the refrigerator, it will just be more firm. I wonder if you could freeze it in an ice tray and take one out one cube at a time? Coconut lime! What a perfect combo…will be trying it that way! does this cream makes you skin color darker? Because usually these winter butter creams make your skin darker or they for dark patches on your skin. I actually made my own lotion with Coconut oil (and EVOO with Beeswax) and it does NOT darken skin. It did actually lighten mine a tiny bit, though. I do find it rather sticky but it works GREAT!! Yum! 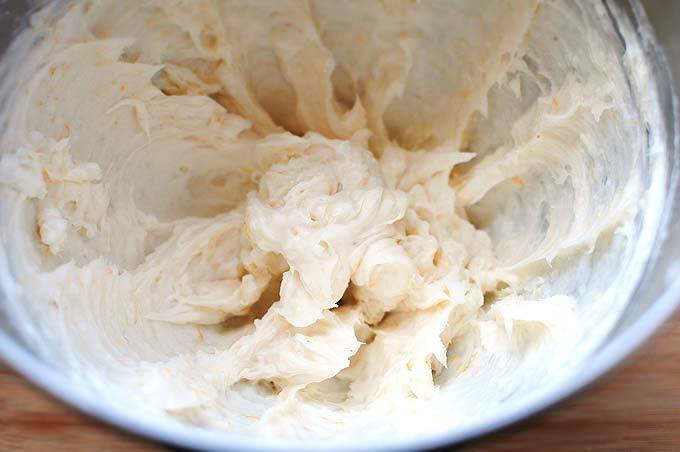 This body butter looks creamy, zesty, and totally eat-able! Thanks for the awesome recipe! Wildly intrigued, and I am almost out of my Alba shaving cream. This looks so amazing, I would wanna eat it or at least use it as frosting. OMG. I’m so making this as a recipe and I’ll make some extra for my body. Thanks for sharing. This is SO amazing!!! I make scrubs and rubs and stuff with olive oil & sugars or salt all the time but I’ve never made a body butter. Suuuper cool. Anytime I’m cooking in the kitchen and I get a little coconut oil or olive oil on my hands, I just rub it into my skin. So natural! Is the honey essential? I’m allergic to it topically. I’m sorry you were unhappy with your final result. I’d say to maybe try adding more coconut oil. I’ve been using mine for a couple of weeks to shave my legs with great success. I also have a friend who made a batch before I posted the recipe to double check behind me and she has been absolutely thrilled with her results. Amy please tell me if I could use olive oil to dilute the sticky feeling from the honey. Also is there another base I can use other than the honey its honestly so sticky smells soooooo good though. I don’t want too waste it. The ingriedients were not cheap. Please HELP! It is a bit sticky so i apply it- let it sit for a minute and then wash it lightly. That takes the tacky feel away and the oil will stay on your skin. You can also apply – all over your body – and use it on your legs while you shave. This way it is soaking in while you shower and shave. Then rinse off. Again the oil will stay, your legs will be smooth and it will have a chance to soak in. Another thing you can do is mix it with a 2-3 cups of epsom salts and 1-2 cups baking soda. This will make it into a bath scrub/bath soak. I use these ingredients for that all the time. My parents who are in their 60 love this to soak in. You will need to be careful as it will make the tub slippery but your skin will get nice and soft and glow. Just keep trying until you find what works for you. Going natural is finding your balance and what you will use. I don’t soak that often but when I do this is heavenly. However, I do shave often and so this gets used that way. Would be nice to add some essential oil to it as well, such as lavender oil or whatever fragrance you enjoy. I just made this! I added the lavender essential oil and it smells amazing :). It is a little sticky but I’m just letting it sit on my hands for a little bit before I rinse the honey off because I want it to really moisturize. My hands get so dry in the winter so I hope this helps! My sister-in-law’s hands are even worse so maybe I’ll make some for her too! I bet it does smell lovely with the lavender! My hands (and feet) are so dry right now that I need to coat my hands in some and let them sit for hours. I love making my own body care products. It’s so nice knowing what’s going on my skin. I bet this smells amazing. Hmmm … I actually added the honey knowing that it has antibacterial properties. As far as the grapefruit zest being added, anyone allergic to grapefruit or other citrus could delete or substitute their favorite scent. Because of Honey’s supersaturation of sugar it inhibits the growth of yeast and other fungal spores. Its pH is 3.26 to 4.48, a killing field for bacteria. This is why if you use honey on skin that is irritated by infection, it will clear up. I use honey to wash my face and it’s cleared it up so well. I’m going to try this. I use coconut oil on my dry winter hands. It’s the only thing that really makes a difference. The citrus scent added sounds wonderful. I don’t plan to use it in the shower so I’m going to leave out the honey. That seems like it would be too sticky. A great alternative to zest is to dry the citrus peels on your counter (single layer for a few days) and then chop them up in a blender or food processor. This gives you a nice fine powder that works better than zest. This is also way better for flavoring foods. You get all that citrus flavor without any bitterness. I just made this using orange zest and I didn’t find it to be even remotely sticky…rubbed right in! I tried this, and personally I found it much too oily. I just made it, so it hasn’t set yet, but it is extremely oily and I probably wouldn’t use it for anything other than to shave my legs with. Which, if that is the case, I could find better, much cheaper options to use for shaving my legs. Im gonna try the oil honey combo right now 🙂 ive been using just coconut oil for shaving for some time now. And as a head to toe moisturizer, and even put a small amount in my curly hair to define and moisturize. Dont know about putting zest in my body product. But what about steeping a sachet of zest in warm oil to scent it, without having bits of zest to deal with later? Remove sachet, let oil firm back up and whip in the honey. Thanks for the inspiration to take my beloved coconut oil to the next level. Could I use olive oil instead of coconut oil? Would putting finished product in fridge help solidify and preserve? I tried thw recipe but the honey makes it very sticky..
Can I use the juice of a citrus fruit instead of the zest?? I’m not sure what the added moisture of the juice would do, so I can’t say. If you try it, let me know. I saw this was asked already, but how sticky does the honey get in this mixture? I’m assuming if you’re using on small areas, it’s not a big deal. Also, I’m planning to use EOs instead of the orange zest. How many drops do think this would take? 20? I haven’t noticed it being that sticky except on the palms of my hands, but I have to say, that applies to any lotion or cream I put on my body. I don’t like anything on my palms. As far as the essential oil, I’d try a few drops at a time to see what you like best. Some of the oils I’ve used are very strong, so 20 may be overwhelming depending on what it is. I don’t know what would happen if adding olive oil. It would certainly thin it out. Hmmmm … did you use the recommended amount of honey to coconut oil ratio? Also, the coconut oil should be measured as a solid. Try using Agave Nectar instead of the honey if too sticky. Same good properties as honey, less “sugar” so less sticky…. Just a thought. I will be trying this tonight and will update! I keep mine at room temperature and it doesn’t separate. Coconut oil is pretty thick at room temperature. I did as u suggest and it liquefied at room temp. The honey is at the bottom of the container and the coconut oil is on top the only way it will get solidmis if I put it in the fridge. I’m not sure what may be causing that. Are you heating the coconut oil up? 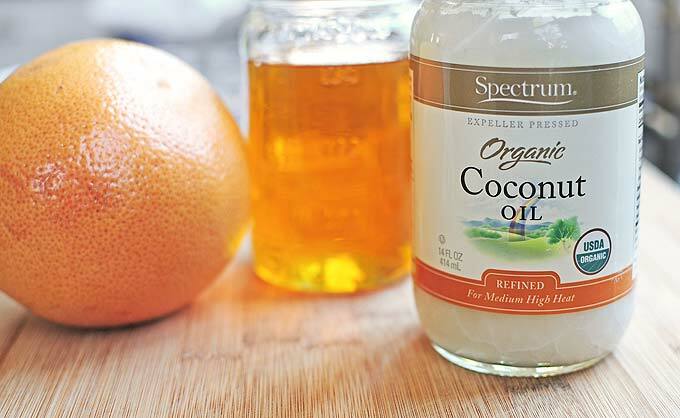 Are you using coconut oil that is a solidified when you begin? It shouldn’t be liquidfied at any point of the process unless it’s hot. Is your room temperature hot? If you could share what ingredients and other details of what you may be doing, I may be able to help. Otherwise, I’m at a loss of why it is liquefied. I use the coconut oil straight from the jar solidified all measurments are followed to the letter, mixed as instruction says to and when done it looks just like the pic but a few hrs later it started to liquefied , stored it in the bathroom under the sink. Coconut oil melts at 76*F. If the room you are in is warmer than this, it will definitely melt. I keep mine in the bathroom and in the Summer months, it’s liquified, and in the Winter it stays a solid. hi Ms. Amy what if i don’t have a coconut oil solid can i use a coconut oil liquid?! it’s still works? How long does this last for? I’m planning on making some for christmas gifts to my best friends, but i want to try it now and see how it works….. will it go bad? What can be used instead of coconut oil? I break out badly from it! Try 1 c. Shea butter and 1/2 c. safflower or grapeseed oil (both have good vitamin E content). I just use straight coconut oil to shave with and after a shower and on my hands throughout the day. The body butter does sound great though. Just came across this on Pinterest. Gonna make this soon. I have been using white Sugar mixed with Coconut oil to scrub and it feels wonderful and leaves your skin exfoliated and hydrated. 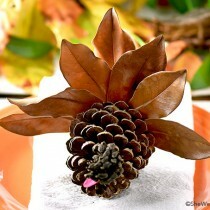 Just made a tiny amount of this to test before making for christmas presents-it is so lovely!! 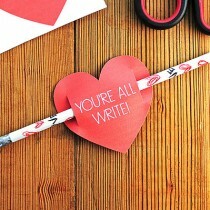 Will definitely be making this as gifts this year! That seems like a pretty short list compared to the huge list of harmful chemicals in anything you buy at the store. Just sayin. Hi, this may sounds like a silly question. But I can’t seem to find a solid coconut oil in Thailand where I live I start to wonder if there is a coconut oil in solid form available. I remember putting a bottle of liquid coconut oil in an air-con room and in the morning it turned solid. I am not sure if it’s the same thing, or can I use the liquid-turned-solid-coconut oil in this recipe. If I can use it, is it mean that I have to store it in the fridge? In Thailand the average temperature is above 30c. I have coconut oil at home, but it is solid as a rock. Should I melt it a little and then whip it? Or should I just measure it out and mix it in a mixer until it gets creamy? Just measure it out and mix it up! It will soften up as you go. Thanks a lot. Your post was very helpful. Hi Amy! I made this today and I used essential oil instead and it came out sticky. How much essential oil do I need to use in place of the zest? I’m not exactly sure how much to substitute, but I’d try a very little at a time, then test, and add more if needed. Thanks for sharing.. For me there are many benefits linked with using all natural skincare products, from improving the health of your skin to contributing to a safer environment. 🙂 Keep sharing. Was wondering if anyone had problems with this clogging their pipes? Since it is an oil I was just thinking over time of it going down the drain will it cause it to clog? I swear is there anything coconut oil can’t do?!?! I just used it as an eye make up remover and it changed my LIFE!! It worked better than my Neutrogena for getting rid of my makeup! Mind, Blown! Oh my goodness, Megan! Totally trying that. This stuff is amazing I love it as lip balm even though it seems to take only a few minutes to seep into my lips . Did you know you can use just plain coconut oil to put on after you get out of the shower some people might not like the texture on their skin .Thanks for the great idea I used orange zest can I use lemon juice or lime juice by any chance??? Here’s a thought: try making a smaller amount so that you don’t waste your products on your first try should you do something not-quite-right. I cut the recipe down to 1/4 of the recommended amount and, since it is so simple and effortless to make, I continue to enjoy using the mixture as needed, wasting nothing. I also recommend using raw honey, as cooked honey (e.g., Golden Blossom) does not have the antibacterial properties and benefits of natural honey and can cause all kinds of irritations – inner and outer. The same with coconut oil: pure, unrefined, uncooked is what works. That’s a great idea to reduce down amount to try it out to see if you like it before making the full amount. Just made a batch of this! I added the oil from four Vitamin E capsules, some lemon zest, and essential oil (lemon). It was a little runny due to the heat, but I put two small jars in the fridge, the rest is in the medicine cabinet. I finally found a use for all of my old Clinique jars, Body Shop containers. It smells amazing. Unless you are planning on using this right away, the honey will separate and seep out. I would make just enough for a one time use. Irena, have you actually made this recipe? When made according to instructions the honey should not separate and seep out. I’m not sure if I’m talking to Jane, Julie or Sânziene, but thank you for your helpful comments. 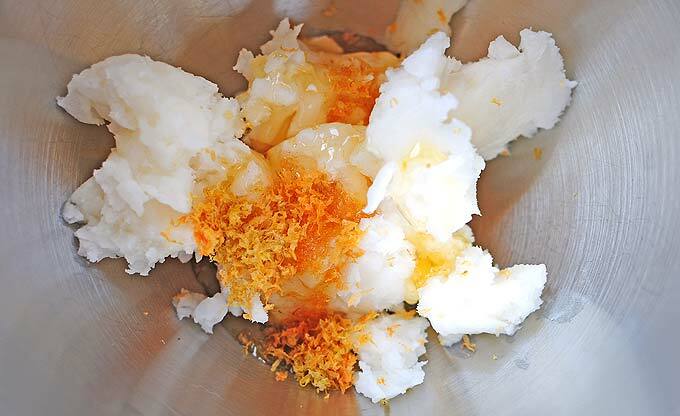 I have edited the post to note that this homemade body butter should be used in a short time, stored in a cool, dry place, and an oil soluble preservative should be used, as well as deletion of citrus zest in favor of an essential oil, if wanting to keep longer than a week. Thank you again for your input. Again, in the future please contact me directly if needed and I will always edit the information I share to be correct if I am at fault. There is no need to bombard my site. You should know that some will see a multitude of comments (some with links to other sites) as spam, or at the very least, suspicious, and question their authenticity. Your group may consider another approach to get your important information out there to the people that need to see it. How much would you suggest for shaving once? I love making my own natural soaps and scrubs so of course I had to try this delightful and easy looking recipe. At first the body butter came out with a great consistency although slightly greasy, which I didn’t mind. I stored the body butter in a jar in my bathroom and the next day when I went to use it, it was completely liquified and frothy. I moved the jar to the fridge and have to store it in there to maintain the solid state, which makes it difficult to use, like real butter. We live in Southern California where it’s always warm so I don’t know a good solution to keeping it at a “fluffy” spreadable form because I do love the mixture when it’s originally whipped. I’ve been looking for an home made body butter for quite some time now. This seems very nice and i can get all the ingredients here. I want to use it for myself and my little girl (she’s just 1 year old). The thing is coconut does not work for us, can i use something else instead? According to the recipe, I have to use coconut oil. I clicked on the link, that thingy looks like coconut fat . So I went to shopping and I ask the lady in the shop if she has any coconut oil. She gave me a package which contains a sunflower oil-like something (but of course it’s made of coconut) . I bought it anyway cause I thought she knows what she’s selling. But as it turned out, the oil and the honey don’t work together. I mean they can’t be mixed. So I had to throw the hole oily honey out. Kinda mad now. I’m thinking of trying this, but with matcha green tea powder instead of the citrus zest. I’ve read about the benefits of caffeine, and thought that might make a nice stretch mark cream for my pregnancy! I really want to try this but I have small concern. Coconut oil sold in my country is really oil, meaning liquid. Yours in the photo looks like it has the texture of a cupcake frosting, which helped solidifying the body butter. Will mine gradually turn creamy as I mix if I use the oil that I mentioned first or no? Please help. The coconut oil I used comes in a jar. It’s white and in solid form to begin with. You will need to use that kind of coconut oil for this to be a thicker consistency. For a thicker consistency just add some shea butter to the recipe. As coconut oil has a very low melting point. Instead of the orange zest use an essential oil. No refrigeration needed except to stop the coconut oil from liquefying if you live some where hot. Most of these are irritants when not diluted w a veg based oil. I use all of these with either coconut oil or olive oil. Many of these have wonderful healing properties if u use high grade ESS oils like young living. Have fun!! Worth noting: Only raw honey offers the benefits you want on your skin. The honey you find at most grocers and supermarkets is not what you’re looking for, even if it says “Pure” or “Natural” on the container. You want raw, unprocessed, organic. Your best bet, if this is an accessible resource in your area, is probably a whole foods or a co-op supplied locally – or if you live in a farming community, you may be able to buy it directly from the source. The kind I’ve gotten doesn’t crystallize but does solidify and become cloudy and gritty after a while. For BOTH honey and coconut oil, it’s best to return them to their liquid state by placing the jar in hot water rather than by microwaving them. This way, you melt them without possibly cooking them, which changes the properties of the honey or oil. It’s also worth noting that the coconut oil pictured here is not ideal for use on skin. The best kind that retains all of the benefits you want from the coconut will be cold-pressed, unrefined and unbleached, and extra-virgin.. and if it’s already all those things, it’ll likely be organic/non-GMO too. It should taste and smell distinctly like creamy coconuts rather than just oil. Nature’s Way has been the easiest to find in supermarkets, in my experience. Check the vitamin section if you can’t find it in the cooking oil section. Nutiva is another popular brand, though it seems a little more specific to whole foods co-ops. Avoid LouAna and Spectrum. I’ve bought both and they’re a waste of money – it’s essentially the same as getting those clover honey bears from the grocery store instead of buying raw honey: You wind up with a product so over-processed that its original natural properties are rendered moot because it’s little more than the leftover byproduct of the refining process. Plain oil, sticky sugar. Not stuff you want on your skin. Can anyone suggest any alternatives to honey for this? Or could I just leave the honey out? This sounds amazing all the same! You can leave out the honey if you’d like. Thanks for the easy recipe! I just whipped up a small batch this evening. It turned out nice. I did opt for grapefruit essential oil rather than the zest. I also added some sweet almond oil to the mixture in hopes that the final product would be a bit thinner than coconut oil alone usually is. Even with the sweet almond oil, it is still rather thick (consistency of thick body butter) but I really like it anyway. I melted the oils and honey together in a double boiler and then added the EO. After everything was melted and mixed, I put the bowl in the freezer for 15 mins approx., took it out and whipped it. I noticed that mine does leave a slight sticky, honey residue if not rinsed off. I’ve only used this once but after I rinsed off, my skin was wonderfully moisturized and smooth. I will continue to use it as an in-shower body butter – which for me is easier than regular lotion anyway. I’m hoping to give some of these as mothers day gifts! Thanks again!! I would love to make this for Christmas gifts…Someone spoke about natural preservatives…where can I find them and what names do they go by? Any help would be great…can’t wait to make this!! Is there an alternative to the coconut oil? I can’t get it where I live.